For those of you who missed the latest live broadcast in our webinar series, or if you attended and would like a refresher, scroll down for our recap of the topics we discussed, statistics covered, and tips shared. Ultimately, it was our #1 goal to send all attendees away with actionable items that they could get started on immediately to get more bookings in 2014. Did we meet that objective? You be the judge! How can you play a role in generating more pageviews? Choose your categories wisely… and accurately! 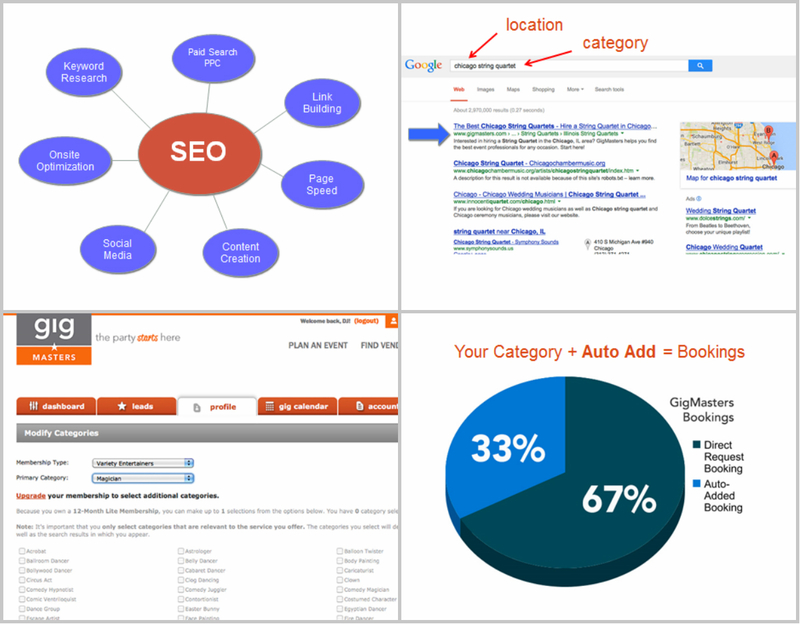 That will help determine how much ground your profile covers when clients are wording their searches for vendors on engines like Google and Bing. Your membership level will determine how many categories you can list in. 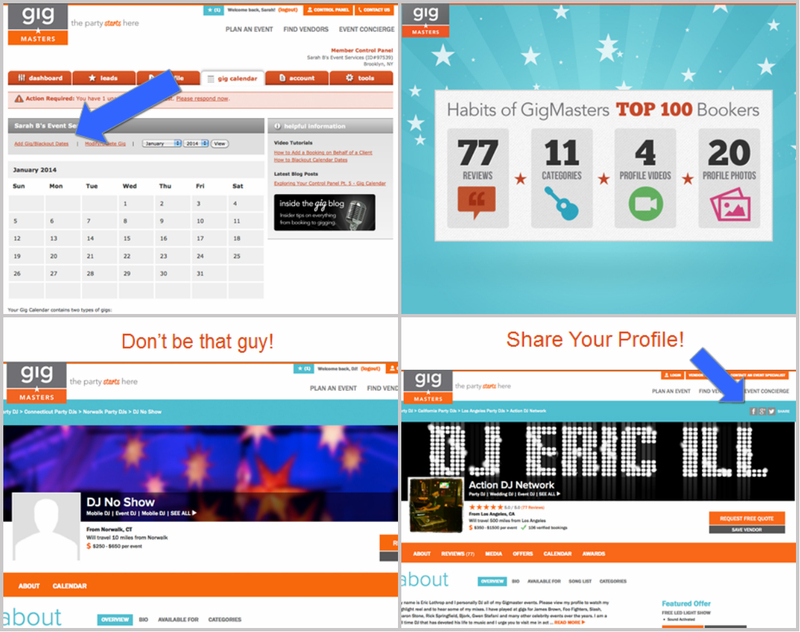 FYI For those wondering how we order the search results pages on the GigMasters site, we revealed the basics of our formula: Category + Location+ Booking Dollars earned in the past six months = where your profile ranks. We advised all members to take the time to fill in their gig calendar. Even if it’s not an official GM booking, we suggest you still add it to your calendar. It’ll show clients how in-demand your services are! On average, our Top 100 Bookers maintain 20 photos on their profile. Fill your media section with quality photos, videos, and if applicable, audio files. Pictures are often the first thing potential clients will scroll down to find. Make sure yours are professional— that means avoid posting the pixelated ones. Don’t forget about your profile cover photo! We can’t stress enough how important it is to swap out the default image with one that creatively represents your service. Once it’s polished and poised for presenting to clients, share your profile on social media. You can do this by clicking on any of the social icons in the upper right hand corner of your profile. Good grammar matters when it comes to your “About” section. Read, edit, repeat. Don’t go overboard, but elaborate beyond a simple sentence or two. And please, AVOID WRITING IT IN ALL CAPS. 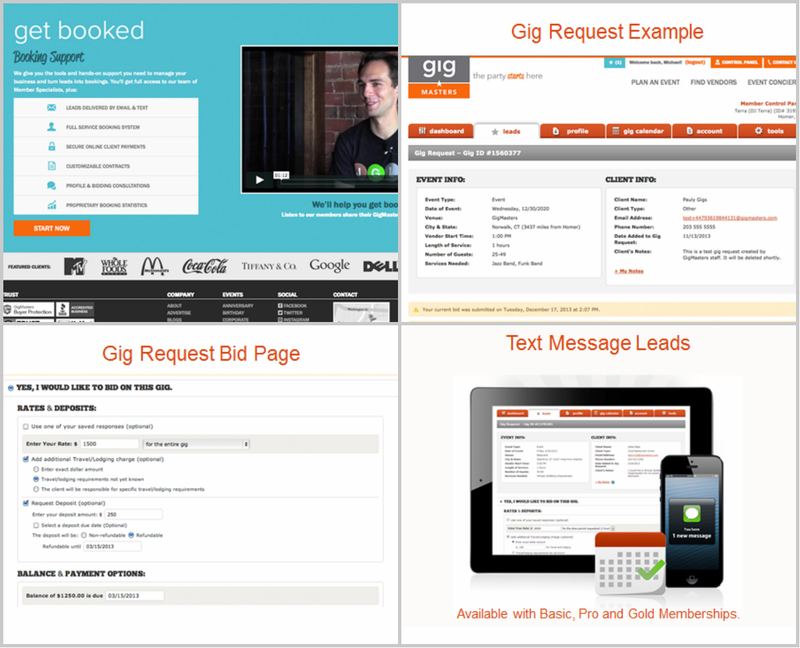 Use the tools we provide to increase your chances of securing a gig. That means opt in to text message notifications, respond to requests quickly and accurately (saved responses can help with this), and follow up with clients in a timely and professional manner. 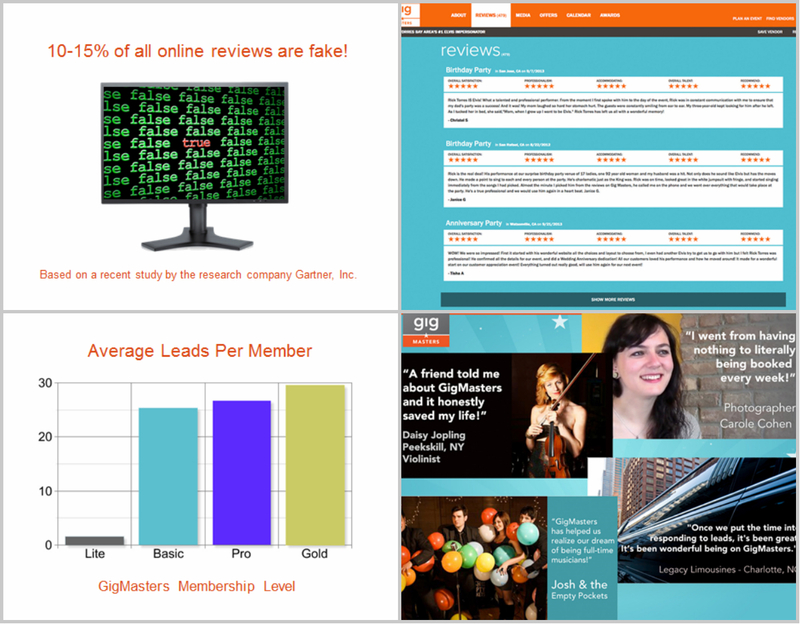 10-15% of online reviews are fake. 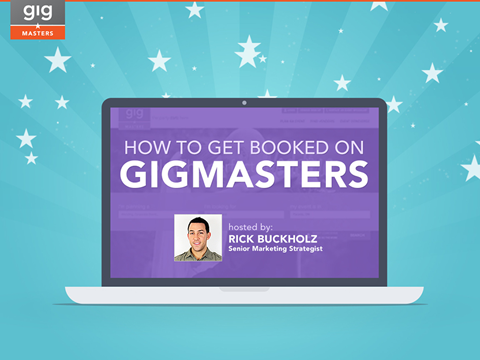 That’s why clients turn to GigMasters. They’re looking for vendors with a collection of positive reviews. And only clients with GM verified bookings can leave reviews, so be sure to book within the system. …And that was just what we covered in the presentation portion! Stay tuned for Part 2 of our Webinar Recap, where we’ll highlight a number of the questions you asked in our Q & A session!